The Hewlett-Packard Co. (NYSE:HPQ) will re-enter the consumer tablet market this spring with its $169 HP Slate 7, the company announced Sunday. 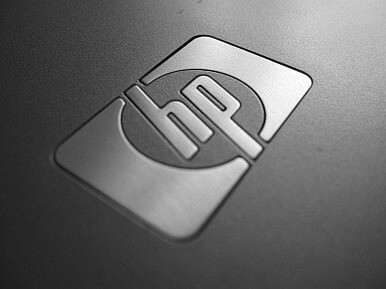 Hewlett-Packard exited the market in 2011, when its TouchPad came and went within seven weeks. One major difference between the new HP Slate 7 and the old TouchPad centers on the mobile operating system employed by the company: The former will run Android Jelly Bean, a product of Google Inc. (NASDAQ:GOOG), while the latter ran webOS, a product of HP (as a result of its 2010 acquisition of Palm Inc.). In December, the information-technology market reseacher International Data Corp., or IDC, boosted its 2013 forecast for the worldwide tablet market to 172.4 million units from 165.9 million units and hiked its 2016 forecast for the same market to 282.7 million units from 261.4 million units. At the same time, IDC revised its forecasts with respect to the future market shares of the three major tablet operating systems. It anticipated the share held by Apple Inc.'s (NASDAQ:AAPL) iOS would fall to 49.7 percent in 2016 from 53.8 percent in 2012; the share held by Google's Android would fall to 39.7 percent from 42.7 percent during the same period; and the share held by the Microsoft Corp.'s (NASDAQ:MSFT) Windows would rise to 10.3 percent from 2.9 percent over the same time. Given the IDC forecasts, Hewlett-Packard may benefit by re-entering the tablet market. However, the competitive pricing of the $169 HP Slate 7 indicates that this product's gross and net profit margins are likely to be pretty slim: Apple's lowest-cost iPad with Retina display (and a 9.7-inch screen) is priced at $499, and its lowest-cost iPad mini (with a 7.9-inch screen) is priced at $329. The HP Slate 7 features a 7-inch diagonal screen, a weight of 13 ounces, and a stainless-steel frame, as well as an ARM Dual Core Cortex-A9 1.6 GHz processor, a 3-megapixel camera on the back, and a VGA camera on the front. In its announcement of the HP Slate 7, Hewlett-Packard noted the use of Android Jelly Bean would provide with its purchasers with easy access to Google Mobile services. These services encompass Gmail, Google+ Hangouts, Google Drive, Google Now, Google Play, Google Search, and YouTube. The company also pointed out the HP Slate 7 would be the first to offer embedded Beats Audio, thus providing what it called "the best-sounding, richest audio experience available on a tablet." According to Alberto Torres, senior vice president of the newly formed Mobility Global Business Unit at Hewlett-Packard: "To address the growing interest in tablets among consumers and businesses alike, HP will offer a range of form factors and leverage an array of operating systems. Our new HP Slate 7 on Android represents a compelling entry point for consumer tablets, while our ground-breaking, business-ready HP ElitePad on Windows 8 is ideal for enterprises and governments." Hewlett-Packard anticipates the HP Slate 7 will be available in the U.S. in April. J.J. McGrath is a reporter from International Business Times, where this article first appeared. Can Amazon Find Success in China? 128 GB iPad Coming February 5thGalaxy Note 8 Tablet Coming SoonApple and China: A Match Made in Heaven? New iPad to be Released March 2013?